The government of President Omer al-Bashir of Sudan extended up to July 12, 2018 the deadline for its mediation efforts to try to bring the warring factions in South Sudan to sign a new agreement. The decision was communicated on Sunday by Sudan’s foreign minister El-Dirdeiry Mohamed Ahmed following the failure by the two main sides to agree while in Entebbe last Saturday July 7, on some key issues pertaining to power-sharing as well as on resource management especially regarding the oil wealth. According to Uganda’s foreign affairs minister Sam Kuteesa, the final peace agreement is expected to be signed in Kenya’s capital Nairobi next Tuesday July 17. 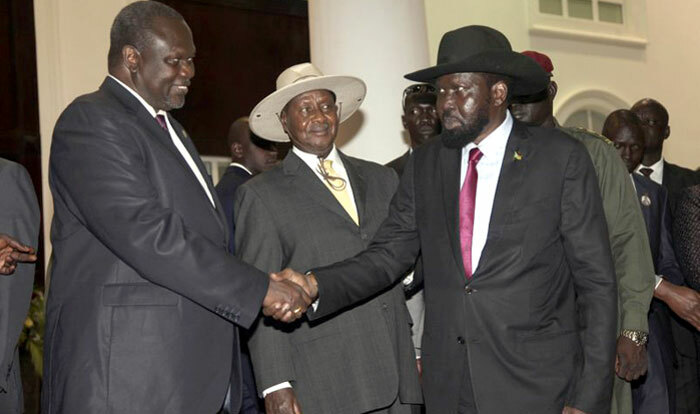 During the Entebbe meeting, President al-Bashir and President Yoweri Museveni successfully persuaded President Salva Kiir of South Sudan to reinstate Dr. Riek Machar as his First Vice President. The number 2 position had been filled by Gen. Taban Deng, the leader of the break-away faction of Dr. Machar’s SPLM-10 group, following the outbreak of violence in 2015. In return, the SPLM-IO leadership accepted the creation of the position of fourth vice-president for Taban Deng. Sudan’s foreign minister El-Dirdeiry Mohamed hailed the Entebbe meeting as a success by especially ensuring that the two main factions agreed on key power-sharing issues. Although the final agreement on power-sharing was expected on July 11, the two main factions tentatively agreed as follows; The factions that travelled to Entebbe agreed to increase the number of cabinet ministers to 45 of which 30 posts go to the government, 10 to the SPLM-IO and 5 to the other opposition groups. In addition, the parties also agreed to increase the number of MPs to 550 MPs from the current parliament of 400. The 50 additional seats will be occupied by the other opposition groups. The latest intensification of efforts to resolve the conflict in South Sudan comes as a response by the Inter-Governmental Authority on Development (IGAD) leaders try to implement their pledge to seek peaceful resolution of the conflict as avoid sanctions as were threatened by the United Nations Security Council last month. The latest efforts to resolve the conflict has received backing from not only GAD but also the African Union, European Union, China and all the major factions in South Sudan. Khartoum and Kampala’s participation in the talks is considered as one of the major achievements in the latest efforts as the two countries are known to back the opposing sides in the conflict in the oil-rich country. As Minister El-Dirdeiry pointed out, the Entebbe meetings, which also included a summit between the three heads of states, reflects the determination of the Sudanese and Ugandan leadership to work together for peace in South Sudan. 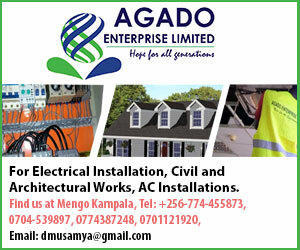 He added that the coordination between al-Bashir and Museveni led to the signing of the security arrangements agreement in Khartoum on 6 July and the compromise reached in Kampala on the principles of an agreement on the power-sharing during the transitional period. The foreign minister called on the international community to show their support to Khartoum round so as to achieve stability, security and peace in South Sudan. However, the US ambassador to the United Nations Security Council Nikki Haley submitted last Thursday during a consultations meeting on South Sudan sanctions regime a draft resolution providing to impose an arms embargo on South Sudan and to impose targeted sanctions on South Sudanese officials accused of spoiling efforts to achieve peace.